Struggling with Arthritis and Joint Pain? Check out the nine ways to ease physical aches and pains. The human body is usually summarized as ‘flesh, blood, and bones’, each being extremely important in their own right. They make up the physique you live with every day and utilize for all your tasks. So keeping the human body is of key importance for a healthy and fulfilling life. However, when certain illnesses, diseases or issues strike, it is common for individuals to find themselves in a difficult situation. One of these issues is joint pain or more extreme, arthritis which refers to the inflammation of your joints – one or more. You would be surprised to know that there are more than 200 kinds of arthritis that an individual can have and each has their own uniqueness in regards to the causes, intensity, affected joint and such. However, the more commonly known forms of arthritis are osteoarthritis and rheumatoid arthritis. It is commonly observed in individuals above the age of 60 but that does not mean individuals under it cannot suffer from joint pain. 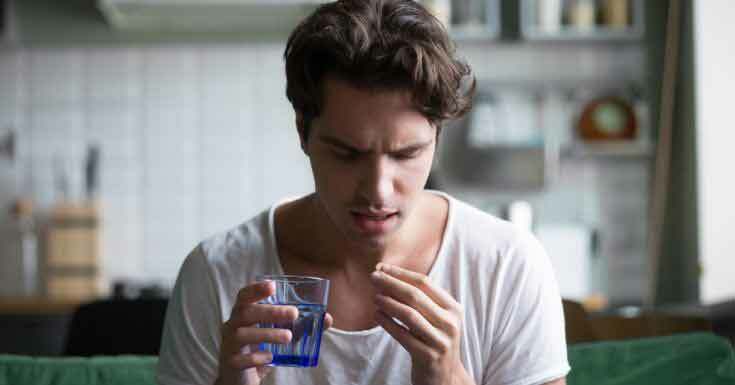 Children, teenagers, and young adults are also susceptible to developing the condition regardless of gender, even though it has also been noted that women tend to experience it more than men. So we understand your concern if you are worried about developing these horrid joint aches or are already suffering from it, unfortunately. To make sure you can keep your joints healthy and prevent this arthritic pain, we decided to compile a list of 9 things to keep in mind and practice. So, here are 9 ways to protect your joints and prevent arthritis pain! Most people think that taking a nice, long nap or finding a comfy little spot to rest for a while works wonders for arthritic pain. In reality, however, it is no better than waiting it out over a couple of excruciating hours, maybe even days depending on how far your arthritis has developed. So sorry to break your bubble here but it is not a practical solution by any means. In fact, too much rest can actually worsen your pain in the long run. The human body works like a well-oiled machine: if you neglect taking care of it, chances are that it will break down far too quickly and easily. Likewise, by preventing your body from getting the natural exercise it needs to keep it in a healthy, working order, you are only worsening your situation. And for arthritis, which grates on the tissue and muscles around the affected area, staying on your feet is a good way to strengthen your muscles and stymy soreness. So just like that upbeat song says: MOVE YOUR BODY! Arthritic pain develops from the inflammation of muscle and tissue surrounding the affected joint. One way to help relieve that soreness is to apply pressure. Of course, you cannot possibly spend a good chunk of your day constantly massaging your joints, let alone do it daily. That is where joint protection supports come in. Joint supports or braces are designed to apply a certain amount of pressure to the affected area to relieve pain from inflammation, but at the same time ensure not to cut off blood supply. They are also pretty easy to move in and quite comfy, so do not worry about how it may be uncomfortable. Related: What is Joint Cartilage and How Do You Heal Cartilage? Your body weight is responsible for a lot of diseases and illnesses and just like that, it is also a huge contributory factor in arthritis. If you are overweight, that means there is more for those joints to carry and move around which puts a lot of pressure and strain on them. The joints that suffer the most seem to be the weight-bearing joints which include your knees, ankles, and hips. With so much pressure on them, you cannot blame these joints for deteriorating. So in short: it is time to lose those extra pounds. In fact, a study noted that as you get rid of each pound, the loading forces on your knee decrease by four-fold on each step! So if you want your joints to have the optimum health and reduce any joint pain, it means you need to achieve the optimum or ideal body weight for yourself too. What is that? Sounds like the gym is calling, friend! The tricky part about managing arthritic pain is that when your joints are sore, you would prefer not putting them under any stress. Do not fall for that one: doctors and physiotherapist actually recommend certain controlled exercises to keep your muscles and bones in top shape and keep your arthritis relatively manageable and painless. Water therapy, cycling, and walking are to name a few. So if you are a good swimmer and want to start learning or participate in some aquatic sports, this may be another reason to get going. These gentle exercises allow you to keep the physical activity going but without too much strain. Sometimes, you need a little bit of help and you want to ensure the help is reliable, safe and effective. That is where supplements often come in. There are supplements out there for all kinds of things and they seem to be working pretty well! Whether its to cover a deficiency your body is undergoing, help you lose weight, bulk you up or improve your hair etc, supplements have you covered. And just like that, there are supplements to help you battle chronic pain like the joint pain you are worried about. Reading Curafen review you ought to know that it is one of the supplements that aim to help you reduce those pining joint pains and aches by decreasing the inflammation and swelling. Utilizing 100% natural ingredients, the supplement aims to relieve you of the straining joint pain, allowing you to move freely and better. Mr. Fantastic was known for his elasticity as a superpower that allowed him insane flexibility. Now, of course, we would not ask you to stretch yourself across two building but definitely suggest you get a bit flexible. Since arthritis is often related to limited mobility and restrained range of motion, what better way to fight it off by increasing that range for each joint. Just remember to extend, bend and rotate those joints to improve the flexibility, increase your range of motion and rid you off that stiffness and pesky pain. Be your own Mr/Ms. Fantastic! As amazing as working out is to get your body in shape, you would be happy to know its wonderful for your joints too. People tend to join the gym to either lose weight or gain some muscle but there is a third category here and that includes individuals who want to simply keep their health optimum in all ways. That includes their joint health because just like all your other muscles, your joint muscles need to be strong as well. Try out some strengthening exercises such as weight training but just be sure to not overdo it and pace yourself right. You know your body well so you will be able to better form an exercise regime that will allow you to achieve joint stability. The overall result will not only mean decreased joint pain but increased joint health! If this heading is not the most truthful thing you have heard and the most times too, that would be a surprise. 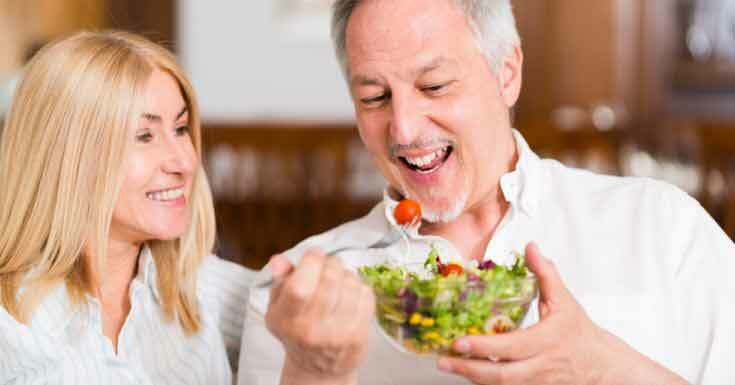 Indeed, diet plays a massive role in your body’s health in numerous ways and exactly like that, a healthy diet is essential for your joints’ health. Since the inflammation of the joints is where the pain stems for and the condition mainly includes, reducing or managing that inflammation is of key importance. To put it simply, include a diet into your lifestyle which decreases inflammation and say goodbye to all those foods that kick that inflammation up. If you need a few guidelines as to what that may include, its basically all those wholesome greens. This means fruits, vegetables, seeds, nuts, legumes, whole grains, and all that leafy goodness. According to sources, a Mediterranean diet is quite popular to help manage your inflammation. You may also like to read: Tiger Balm Review – Is This Product Safe To Use? If you do not smoke, you are already doing pretty good. But if you do, here is another reason added to the “Why you should quit smoking” list. Smoking has some massively negative consequences for your body and according to the American Association of Orthopaedic Society, on your bones and joints too. Smoking makes you more susceptible to injuries such as bursitis and tendonitis, fractures and even osteoporosis. If that is not enough bad news, smoking also increases the risk of low back pain and rheumatoid arthritis. Hmm, seems like smoking does not suddenly look so cool anymore, right? But hey, even if you are not a smoker, try to avoid the possibility of passive smoking as well to save yourself from similar troubles. Well, there you have it. Now, of course, these do not serve as a cure for arthritis but help you manage the condition and its effects way better. It’s understandable that the pain is very hard to deal with and usually becomes a hurdle in most tasks or activities you partake in. However, by keeping these 9 points in mind, you can definitely improve your joint health and reduce the troublesome arthritis pain. 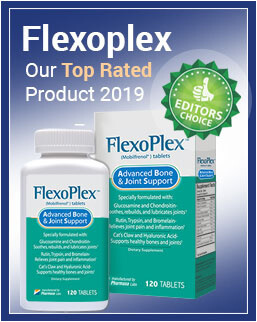 Nevertheless, if these pointers do not work for you, you can consider using a joint pain supplement such as Instaflex which might ease your body from all the joint related ailments. If you have any questions or experiences you would like to share, please do reach out to us and feel free to comment!